It's time to stop throwing out so much bloody plastic. 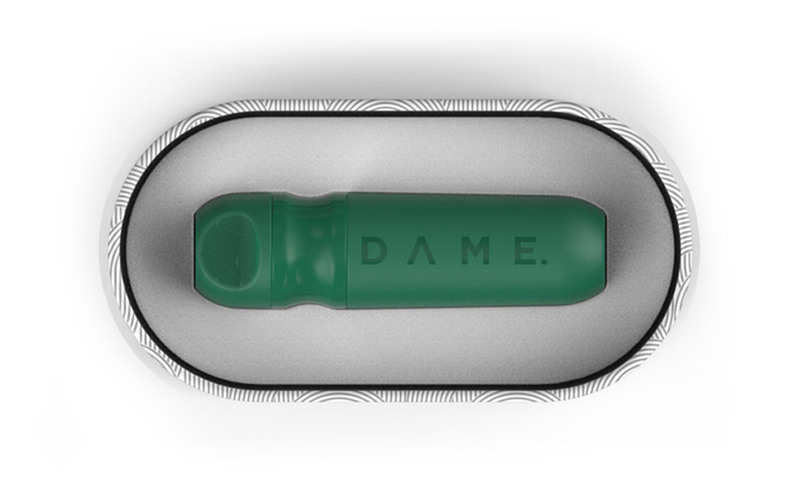 This is the mantra of DAME, the first company to design a reusable tampon applicator. Meet “D”, what DAME is calling their applicator. D is a sustainable alternative to feminine hygiene products that require waste to be disposed of every time one is used. Alec Mills and Celia Pool were motivated by several factors to draw up the first D prototype. They realized after selling period products to women across the UK that they were helping to produce an “enormous waste” from “everyday items”. How much waste exactly? 100 billion menstrual products are thrown away globally each year, each taking 500 years to degrade. They spent a lengthy 14 months designing their current prototype, teaming up with medical engineers who helped make sure D is hygienic and comfortable. The plastic is BPA free, leak free, and built to last. It is antimicrobial. 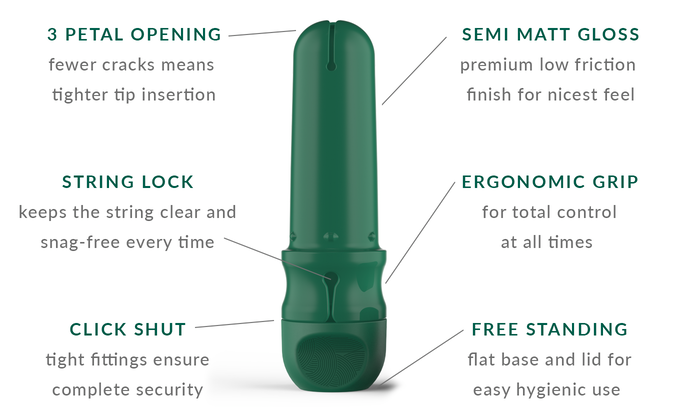 And it has a finish to ensure it is the “most comfortable applicator you’ll ever use”. Sure, you might be thinking. It’s comfortable, but how sanitary is it? It’s incredibly clean! After inserting a tampon like normal, the D just needs to be wiped off, rinsed, and stored properly in its case afterwards. It’s also heat resistant so if you feel the need to really sterilize it - your D will survive! As someone who wants the environment to thrive, but also hated her run with a diva cup - the D might just be the solution to my problem. 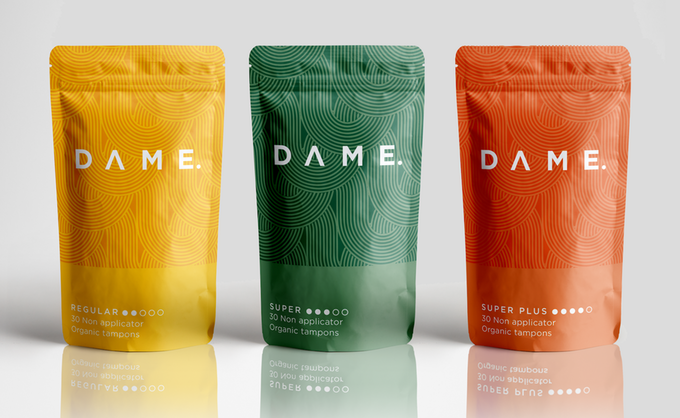 Like DAME has realized, changing someone's habits can be so difficult, so changing the product they love while keeping it familiar is brilliant. Interested in supporting their project? Check them out on kickstarter and consider supporting their goal! With each supporter, we’re one step closer to a future free of bloody plastic. It's actually taking care of yourself. When you think of self-care, you probably think of all those posts on Instagram and Pinterest of a girl sitting in a bathtub reading a book. And while that's great sometimes, that's not exactly self-care. Self-care is more than that. First off, self-care is taking care of your mental health. If you were up late last night studying for a test, it's OK to say no to going out with friends the next day. Sometimes, it's more important to take care of yourself instead of trying to do it all. I know, I get FOMO too. But, we have to understand that taking care of ourselves should be our first priority. You never want to overdo it. This is probably the most important thing to remember, that it is 100% okay to say no. Another thing that is a big part of self-care is letting it all out. Whether that be journaling or just venting to a friend, it's important to never keep all your emotions bottled up. As far as journaling goes, there's no right way to do it. Just spill all your emotions onto paper and you'll feel a lot better, trust me. If something is bothering you, write it down or tell a friend what's going on. If you keep to yourself, everything will eventually become too much that you just lose it. Remember to stay positive. Tell yourself positive affirmations each day. Telling yourself things as simple as "I am beautiful" or "I got this" can really be a great reminder. Look up positivity quotes and read a few, listen to an uplifting song, or read a chapter of a book that makes you feel good. All of these things are small ways that can help your mental health. Surround yourself with people that make you feel good. If you're around people who bring you down, that's not going to help you in any way. Spend time with people that are good for your mental health. But, also remember to take time alone. It's important to always be mindful of yourself. Self-care is important, and taking care of your mental health is the most important aspect of it. While face masks and bubble baths can be fun and relaxing, always make sure you take time to check up on your mental health as well. That's what self-care TRULY is.